or, cover various applications simultaneously. 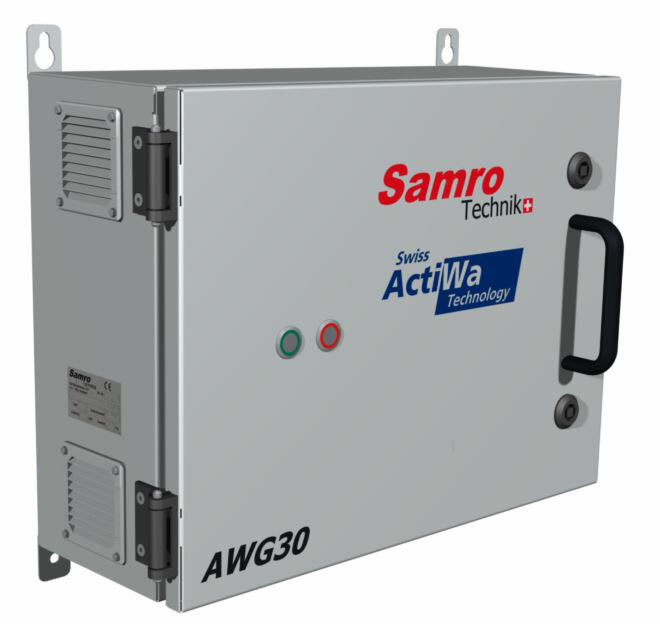 The AWG30 is ideal for drinking water disinfection in hospitals, retirement homes, schools, sports facilities and other public buildings. Or, of course, for small to medium-sized food processors who do not want to miss the benefits of ActiWa® as a disinfectant solution. tap size (metric) 1/2 in.